Take this 3-day tour from Los Angeles to see some of the top attractions in central and northern California! Travel in a comfortable van or motorcoach, and enjoy the spectacular coastline as you make stops in Santa Barbara, Solvang and Carmel. You'll then head to San Francisco for an overnight stay and a comprehensive tour of the beautiful City by the Bay. In San Francisco, take a bay cruise past Alcatraz Island and under the Golden Gate Bridge, and the enjoy a sightseeing tour of the city’s top attractions, including Union square, Chinatown and Nob Hill! Your next stop depends on the season. In the summer, you’ll head to Yosemite National Park; in the winter, when mountain roads are closed, you’ll visit Hearst Castle (beginning November 1). 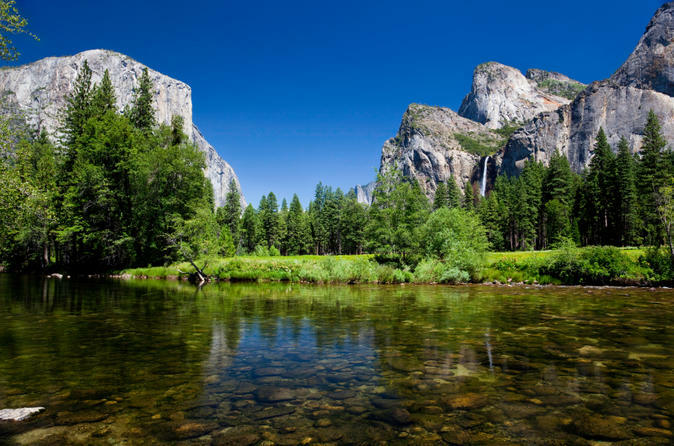 Both places offer plenty to see — in Yosemite, gaze in awe at the 1,200 square miles (3,100 sq km) of forests, lakes and waterfalls protected in the Sierra Nevada Mountain Range, or at Hearst Castle, be amazed by the majestic former residence of William Randolph Hearst. See the Itinerary field below for details on each day of the tour.